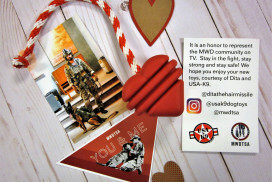 We thank you for your support and advise you to read our Gift Acceptance Policy before donating or gifting resources to MWDTSA. Thank you! Make a tax-deductible cash donation for us directly through Paypal. 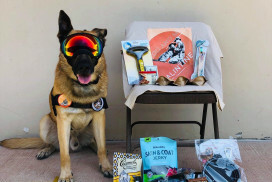 Go to our Amazon Wish List, select one or more items to donate and Amazon will ship it for you so it can be included in a coming care package to a deployed Military Working Dog team. Your gifts may be tax-deductible as an in-kind (non-cash) donation on your itemized return. You can also help us by purchasing something from our online eStore. There are many things to choose from, most are identical to those items we send to handlers in our care packages. Store purchases are free of sales tax as they are classified as "fund-raising" sales. Clubs or corporate sponsors, can organize a fund raiser or collection of care package items from our Amazon Wish List. We can help you set it up with information, brochures, pens and copies of Kennel Talk enewsletter to make your fund raiser a success. Just send us a note to info@mwdtsa.org. iGive's streamlined charity set-up lets you shop at the 1,700+ stores you already know. Then, an average of 2-3% of what you spend is donated to MWDTSA. The stores pay for the entire donation and sometimes you even pay less with coupons and deals. A few of the many participating stores include Bed Bath & Beyond, Best Buy, Staples, Petco, Expedia, Old Navy, Target, Toys R Us, Barnes and Noble, and Amazon.com. Just go to iGive and register your favorite charity. For MWDTSA, select "Military Working Dog Team Support Association, Inc."
Shop at smile.amazon.com and 0.5% of purchases you would buy at Amazon anyway supports our MWD teams. On your first visit to AmazonSmile just select “Military Working Dog Team Support Association.” Then every eligible purchase you make results in a non-tax deductible donation to us (you can change charities at any time). See AmazonSmile program details. Purchase and donate a KONG toy at any participating store, or via our Amazon Wish List. These toys are included in care packages throughout the year. 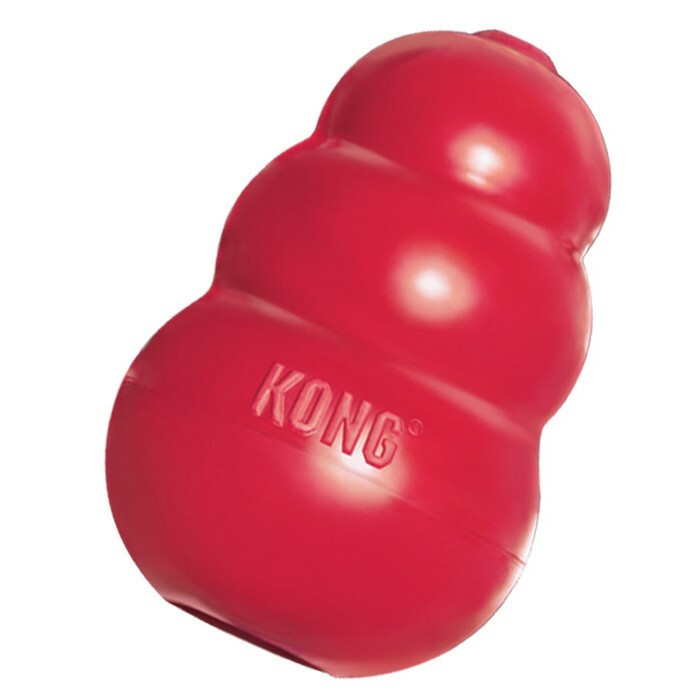 The KONG company also donates a KONG for each that is donated to us. 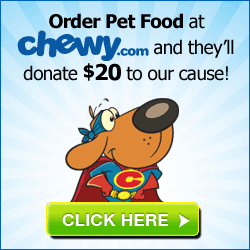 Order your Pet Food at Chewy.com and Military Working Dog Team Support Association, Inc. will get a $20 donation! MWDTSA holds a Platinum Seal from GuideStar, an agency that rates non-profit organizations. According to GuideStar, only 1% of charities have received this rating based on the transparency of their financials and other reported information. Need more information about MWDTSA? Click here to see our GuideStar profile.